Plymouth Tri club start their Ermington time trials tonight. It is a 13 mile course. They are held on the first thursday evening of the month. No licence needed just turn up and pay your £5 entry fee. Prizes for the best times at the end of the season. Lots of Yogi’s did these last year and they are great for a first try as very laid back. Registration is at the Crooked spire pub Ermington from 5.30 – 6.20 as the first rider sets off at 6.30. Thursday Burrator Road Circuits; meet at the Burrator Reservoir Dam from 5.30pm onwards. Just drop in whenever it suits you. The idea is to start riding anti-clockwise around the lake, people can then join in whenever they turn-up. This is ideal for any riders – experienced or novice. Ride around in small groups and get a great workout. Obviously to start with, you will need lights but we intend to continue this into the summer. It’s early days for this ride but it has started to gather momentum. We’ll also occasionally run the ride from different areas. Sky and Plymouth Council launch the Sky Ride Plymouth and the opening of the Stonehouse Creek foot and cycle path. Why not go down and have a look if you’re around? The launch is being held on Tuesday 20th March at 10.30am at the start of the link by Stonehouse Creek car park. The actual Sky Ride will take place on Sunday 13th May. The organisers have asked if any of our members would like to help out on the big day – the event is due to run between 10am and 4pm. Please reply to jennifer.keene@amey.co.uk if you are interested. Thought you might like to know that Lyndsey Glazier (Hope Factory Racing) won today’s Springtime Pursuit road race. Fantastic performance Lyndz! Photo set from Ann Owens here – look out for Sarah Austin flying the YOGi colours too. Well done to all the Yogis taking part past and present whoop whoop! A great result for YOGi Sarah Austin in the first road race of her season, taking 3rd place in the Springtime Pursuits. Another rider with YOGi connections, Lyndsey Glazier, worked hard in the scratch group finishing 8th. 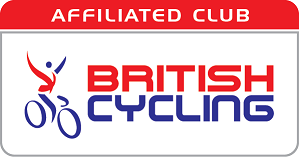 The British Cycling website had this to say, The race came together after about two of the five laps, and while some of the front group couldn’t stay with the pace of the more experienced riders four did manage to keep up, and Austin did well to take third spot. Turbo Training – the last one for this winter – February 23rd – NOW BOOKING! Lipson Community College 7.30-8.30. Just the one session. Paste and post names below. Training starts at 7.30pm so aim to arrive 10 mins early. Keep an eye out – we have something new planned for Thursday evenings.